STEVE LURIE, chairman of the SA Union for Progressive Judaism, was silenced mid-way through a public speech in November in which he called for an end to discrimination against the Progressive youth movement Netzer at King David Schools.The incident unbottled long-simmering tensions over the treatment of Progressive Jews by the SA Jewish Board of Education, and plans are being drawn up around the country for public protests. On November 3rd, Rabbi Craig Kacev, general director of the SA Board of Jewish Education, confirmed that a policy to restrict Netzer activities at King David schools, first imposed in March 2005, would remain unchanged – despite six months of negotiations to have the ban lifted. In a letter to Lurie, Rabbi Kacev said that Netzer representatives could appear at King David schools only as representatives of the Jewish Agency. They would not be permitted to wear Netzer apparel, and could not â€œpromote reform ideologyâ€. They would be allowed to meet current members of Netzer at the school, but would not be permitted to promote their activities to the rest of the school. None of the other Jewish youth movements, some of them secular, are restricted in this way. The Progressive movementâ€™s difficulties date back to 2005, when the King David constitution was changed, turning general Jewish community schools into avowedly orthodox schools. The controversy flared up again earlier this year, when Netzer Gauteng Shaliach Michael Szczupak was barred from taking part in a schools Zionist programme, despite having been invited by the Israel Centre. The SA Zionist Federation and the SA Jewish Board of Deputies called upon the SAUPJ not to protest in public, but to negotiate in private with the Board of Jewish Education. The SAUPJ agreed. 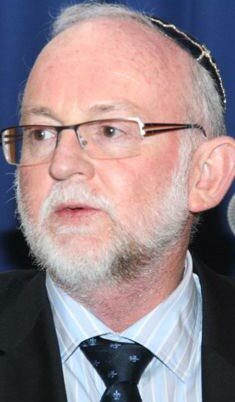 Negotiations seemed to make an encouraging start, but after months of silence, Rabbi Kacevâ€™s letter confirming that there would be no change, arrived in November. The day after the letter arrived, Lurie was due to speak at an SA Zionist Federation memorial service to slain Israeli prime minister Yitzhak Rabin. Lurie began by saying he agreed with Rabbi Dovid Hasdan of Great Park Synagogue, who had talked earlier about Rabinâ€™s kindness, generosity and tolerance. Lurie said Rabin had stood for â€œpluralism â€¦ that we all have a place in the sunâ€. Before Lurie could get much further, Avrom Krengel, chairman of the SA Zionist Federation, stepped up to the podium and silenced him by switching off the microphone. It is almost unprecedented for an invited speaker at a Jewish function to be prevented from finishing a speech. Krengel, who has generally been sympathetic to the Netzer cause, told Lurie he would not be invited again to speak at any Zionist Federation function. The Jewish Report newspaper, which led its edition of November 14 on the incident, said that there had been â€œmutterings from a large section of the crowd who believed this occasion was not the time or place for such a diatribeâ€. Lurie apologised to Krengel and the organisers, and wrote an open letter of apology to Jewish Report, saying it was not his intention to disrespect the memory of Yitzhak Rabin. But there are many in the Progressive movement who believe it was high time the matter was aired in public, and that the Rabin memorial was an appropriate forum to talk about the failure of sections of the South African Jewish Community to live up to his ideals. Meghan Finn, the National Mazkira and Gizbarit (Chair and Treasurer) of Netzer South Africa, has set up a Facebook group around the issue, which within two days attracted a hundred members, including the head boy of King David Victory Park, and a number of sympathetic Jews from outside the Progressive movement. Full text of Rabbi Craig Kacev’s letter to Steve Lurie, which provoked the controversy (PDF document). Full text of Steve Lurie’s apology letter, which appeared in Jewish Report on November 14.